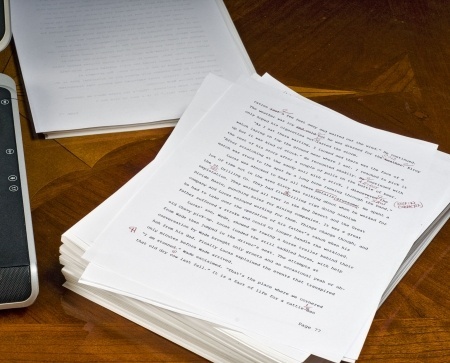 You have a close-to-final manuscript, now what? I remember that feeling when I wrote and compiled Hearts Linked by Courage! I had so many questions. This week I’m going to share with you some of what I learned, providing you with a few key steps to take you from your final manuscript to a published book to help enlighten the publishing or self-publishing path. First, you have to choose whether you are going to self-publish or publish. There is merit in both. In brief, there is some financial savings in self-publishing, although you have to balance that with the amount of time you will need to invest (for research, product development and promotion). It is still wise to consider hiring individual services, especially with respect to manuscript evaluation, creative feedback and editing. 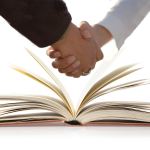 Going with a publisher can take the edge off your time and offer you customized support in areas of manuscript evaluation and creative feedback, editing, proof-reading, type-setting, book cover design (front and back), ISBN numbers, title creation, set up, copyright insert, promotion, marketing (including pre-marketing), media kit creation, E-book and E-Reader conversions, book launches and more. Both are essential! Editing speaks to overall flow in story-line and content; and proof-reading covers grammar and spelling for the most part. Not all type-setting is created equal. Highly skilled and experienced type-setters take your final, edited and proof-read manuscript and make it ‘look’ like a book you can be truly proud of. E-Book and E-Reader conversions are two different processes. Also, with E-Reader conversions, there are important details to pay attention to, to ensure you get the best quality formatting of your book, so it renders well on many or most E-Readers. Having your book converted, so it can be enjoyed on an E-Reader tablet is almost essential in this day and age. Other components sometimes overlooked, that contribute to the professional image and sale-ability of a book, is the Preface (which is usually done by the author, to portray his / her intention and overall message of the book), the Foreword (which is typically written by someone who knows the author and project well and/or has a high profile in one’s local or global community – in part, the Foreword represents a third-party endorsement), and then there’s Testimonials, Acknowledgements or Dedication. When you work with a publisher, most will have an on-line presence on Amazon (.ca and/or .com), where your book can be placed along with others. As well, the publisher will have their website, often featuring their authors, their own work and affiliations. This gives you more exposure (and ‘bang for your buck’, so to speak) for minimal or no cost. Last but not least for now, what Goals do you have for your book? What inspired you to write it? What do you want others to gain from your book? How do you want to market it? Will the sales of your book be passive revenue to compliment your existing work, raise your profile as an expert in your field and/or take you on a mainstream speaking tour (etc)? Knowing what you want and what matters to you (and what doesn’t) is an integral factor in you enjoying the process and realizing successful outcomes for yourself! I’d love your feedback! Here on this blog, you’ll get commentluv. This is a great opportunity to leave a link back to your own blog when you leave a comment. Until next time, ‘Wishing you a joyful journey…!